The San Diego-based organization assists firefighters and their families in times of need. Following the death of a firefighter, FirefighterAid volunteers provide logistical and emotional support for families. GovX, the online shopping site exclusively for military and first responders, will donate a portion of the month's order revenue to FirefighterAid as part of its monthly Mission Giveback charitable program. 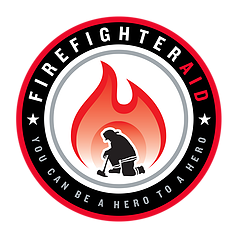 FirefighterAid is a 501(c)(3) that provides charitable assistance to firefighters and their families in times of need and promotes awareness of firefighter health and safety issues. "FirefighterAid is one of our most respected and beloved partners in our mission to care for those who serve our country, including those in the fire services," said Alan Cole, GovX CEO. "Over the years we've gotten to know FirefighterAid, we've donated to them several times, climbed every step of the annual 9/11 Memorial Stair Climb alongside them here in San Diego, and been in constant awe of their dedication to the families of firefighters all over the country." FirefighterAid has a diverse portfolio of support for firefighters and their families. Recipients include firefighters' children who live with developmental disorders, muscular dystrophy, and other medical conditions. They provide logistical and financial assistance to firefighters battling cancer and mental illnesses. Volunteers provide transportation for firefighters who struggle with debilitating injuries and illnesses which leave them unable to drive. The fund also supports the educational pursuits of children, providing scholarships for attending the fire cadet programs and helping enthusiastic young people achieve their dreams of becoming firefighters. FirefighterAid also supports families during times of grief. Following the death of a firefighter, FirefighterAid volunteers have provided logistical and emotional support for families—performing chores, doing house work, delivering groceries, providing transportation, and sending annual gift baskets to grieving widows. "We’re beyond grateful for our partnership with GovX. This organization really stands behind our mission of caring for our heroes when they need us. The past three years with GovX by our side has been amazing and we’re excited to work with them for the next 50+. We love having them at our events and as partners,” said Carlye Wund, Director of Development at FirefighterAid and Event Producer of the San Diego 9/11 Memorial Stair Climb. If you're interested in volunteering with FirefighterAid, learn more by visiting their Get Involved section. GovX.com is a members-only online shopping site built specifically to honor and support those who protect our country and communities. GovX members include active and veteran U.S. military, firefighters, law enforcement officers, federal agents, and personnel from related government agencies. GovX members have exclusive access to thousands of products, tickets, experiences, and travel services from hundreds of leading brands, all at members-only pricing. Through the GovX ‘Mission Giveback’ program, a portion of every order on GovX.com is donated to a non-profit operating in the military or first responder communities. Membership is free for those who qualify, and verification through the GovX platform is fast and easy. For more information, visit GovX.com.